HSC is celebrating more than 30 years of outstanding summer programs for children aged 4 to 15. Our innovative and safe camp programs are designed to offer young people exciting enrichment opportunities while cultivating lasting memories and positive experiences for each camper enrolled in our programs. The camps offered concentrate on participation, teamwork, cooperation and fun! To provide a varied experience, all recreational camps are offered as half day programs. We encourage you to select one program for the morning and one program for the afternoon. Please select only one activity per half day session. Click here to register for a Summer Camp today! For more information, contact Ms. Erica Otaguro, Director of Summer Programs at erica.otaguro@hsc.on.ca or at 905-389-1367, ext. 204. A cross-section of fun and interesting activities highlighting our summer program will be explored and outlined daily. Indoor and outdoor sport related activities are a great way for youth to stay fit. Campers develop gross motor skills, balance and hand-eye coordination. Put on your best pair of sneakers and let’s hit the gym! There’s no I in TEAM! Campers explore how effective and fun collaborating within a team can be. Join us for a series of fun and action packed games that teaches campers the importance of being a team member. The best of both worlds! This combination camp focuses on life and laboratory science. Campers spend half their time exploring nature and the other half in the lab learning about states of matter, structures, and more! Join HSC for some fun activities and exercise. Not only is this a chance to be artistic and energetic, but campers will express themselves through inspired visual arts, crafts, and even fun, active games in the gym. It’s time to get creative! Trojan Jr. Tennis Camp is for those kids who would like to learn how to play and develop their tennis skills. Players will receive highly-qualified and certified instruction on a daily basis and build their serve, forehand and backhand as core part of the program. The more intermediate players will work on additional elements of the game including volley, return of serve, overhead and discuss more about court position and strategy. Join us for a fun and wonderful Chinese summer camp! Learn Mandarin with an HSC Mandarin teacher in an entertaining manner. Children focus on speaking and practicing character writing. Meanwhile, Chinese traditional holidays, stories, music, arts and games are also introduced. Learn, play and practice the Chinese language with HSC this summer! Tennis Camp is for those kids who would like to learn how to play and develop their tennis skills. Players will receive instruction on a daily basis and build their serve, forehand and backhand as core part of the program. The more intermediate players will work on additional elements of the game including volley, return of serve, overhead and discuss more about court position and strategy. This camp provides a comprehensive introduction to the fundamentals of golf, combined with daily practice. Golfers receive daily instruction for two hours covering putting, chipping, tee and fairway play. In addition to daily instruction and practice at a local driving range, all golfers play nine holes each day at a nearby golf course. Participants must provide their own clubs. Let’s learn about the different modes of transportation. Campers get to make their own trains, cars, airplanes, and even design their own new vehicle. Let the games begin! This program is a perfect introduction to the world of sport. With a focus on fun campers explore a variety of sports and learn the fundamentals of throwing, kicking and catching. Sportsmanship is developed along with gross motor skills and coordination. Let’s share the love of music! Learn about the elements that make music! Have fun with beat, rhythm, notes, history, styles, and much more. Let’s sing and play games. What would you like to know about music? It’s a bird, it’s a plane, it’s Supercamper! Welcome to our ‘everything to do with superheroes’ camp! Create your very own secret identity and engage in crafts and activities any superhero would love! The power of computers is rapidly increasing in our modern society through easy access to high speed internet connections. The use of graphics, voice, music, animations and video is increasingly important in all aspects of computer work. This program is an excellent opportunity for children to begin their “hands-on” use of multimedia. Campers will learn skills such as internet exploration for pictures and videos, as well as, creating their own multimedia presentation. Grab your apron and come join us on a trip around the world in the kitchen! Children love to cook and this session will allow them to create some kid-friendly recipes. Cooking is a wonderful activity for children as they sequence, follow directions, explore math concepts (such as measurement, volume and fractions) and learn about the food groups. The best part is you eat what you create! Jeremy is currently leading his team both on and off the ice in Germany, as well as a top scorer in his league for the fourth year in a row. Jeremy looks forward to teaching today’s young players, sharing the knowledge and skills he has acquired in the last 29 years. With Jeremy Williams Pro Hockey Camp, he’s excited to guide his students towards a successful future in pro hockey. This program is designed to allow your child to explore his/her creativity and wonders of nature simultaneously. Activities include a daily campus nature walk that will encourage your child to appreciate the world around him/her, followed by experimentation with a variety of art media activities designed around the nature theme. Welcome to the wonderful game of tennis! This introductory camp is meant for those kids who would like to learn how to play and develop their tennis skills. Players will receive highly-qualified and certified instruction on a daily basis and build their serve, forehand and backhand as core part of the program. This camp offers an exciting approach to literacy through the study of nursery rhymes using varying mediums! Campers explore literature using arts and crafts, song and dance, and even role play. Campers will work with a range of tactile art mediums, surfaces and color inspired projects as they explore fun and contemporary art activities. Through relaxing techniques such as Mindful Movement and yoga, campers will learn to elevate their focus as a strategy for the creative process. Campers will have the opportunity to work in HSC’s Launch Pad to explore several areas of STEM education (science, technology, engineering, math) including coding and robotics. They will also have the chance to design and program their own video game. Over the course of the week, campers will take on a passion project that will see them go through the creative design process in order to design, build and construct a final product. A fun-filled session designed to allow campers to explore a variety of game scenarios. They will enjoy the challenge of traditional games such as chess and backgammon along with computer and video games. Tournaments and team play will add to the excitement of this gaming experience. Calling all bakers and decorators! Cupcakes are everyone’s favourite, so come and learn different cake recipes and icing techniques to make your creations a hit at your next party. Participants between the ages of 8 to 12 will take advantage the extraordinary facilities and expert coaching associated with Trojan camps. With a tremendous focus on physical literacy and transferable skills, each participant will have an opportunity to develop their fundamental movement skills and foundational sport skills in a wide variety of skills and activities. Based on the Long Term Athlete Development model participants will maximize their movement potential by getting lots of repetitions in well-structured and unstructured activities. Mr. M. Verbeek is currently the K-8 Physical Education Coordinator and Assistant Athletic Director at Hillfield Strathallan College and Sport for Life’s Manager of Innovation. He is passionate and proactive about the enhancement of physical literacy in health, education, recreation and sport. His experiences include 21 years as an educator and consultant in Physical Education and Health, curriculum writer, university strength and conditioning coach, and various university, volunteer coaching positions and sport camps. His athletic pursuits included five years as a professional athlete in the CFL with the Hamilton Tiger Cats and Edmonton Eskimos and more recently amateur endurance athlete. Mr. M. Verbeek comes to HSC an innovative and lifelong learner who has a Bachelor of Science in Physical Education from St. Francis Xavier University, Honours Specialist in Health and Physical Education from Queen’s University, as well as a Specialist in Special Education from Queen’s University. He has been a Certified Strength and Conditioning Specialist with National Strength and Conditioning Association and Certified Personal Fitness Instructor for National Exercise and Sport Trainers Association. Ahoy! Come aboard our pirate ship and help us hoist the Jolly Roger! Follow treasure maps in search of bounty and engage in crafts any pirate would covet! Exercise your brain and your body in this camp as you take a journey around the world. Children spend part of their day learning about different countries through sound, games and stories, and the other part exercising their bodies with dancing and physical games. Calling all budding engineers, artists and inventors! This club will inspire “young makers” through problem solving and creative thinking skills by making and creating with various materials. This camp offers a wonderful blend of literature and theatre arts. Campers will read stories and work together to create plays and skits based on their interpretation of the book. Activities include creating props, sets, puppetry and costumes. Exercise your brain and your body in this camp. Children spend part of their day learning about math through sound, games and stories, and the other part exercising their bodies with dancing and physical games. This program explores our love of pets and animals. Working with animals is not only a great learning experience for children, it allows them to build confidence, self-esteem and a sense of compassion. This camp will explore the different animal classes, learning about their unique and fascinating characteristics, as well as, how to care for them. What is the difference between a crocodile and an alligator? How is a spider similar to a crab? Join us to find out! Trojan Jr. Tennis Camp is for those kids who would like to learn how to play and develop their tennis skills. Players will receive highly-qualified and certified instruction on a daily basis and build their serve, forehand and backhand as core part of the program. The more intermediate players will work on additional elements of the game including volley, return of serve, overhead and discuss more about court position and strategy. As well, all players will develop their cardio-fitness level through daily stretching and fitness exercises. This will combine with a daily nutritional component to ensure that “healthy eating/snacking” provides each player with all the energy they need to perform well. Join us as we explore ancient civilizations and myths in this integrated program that highlights the arts and culture with hands-on activities and projects. From food photography to layout design, join us as we learn about how to capture and share your favourite dishes. During the week, campers have a chance to prepare dishes, have a food photo shoot, create illustrations and layout their very own cookbook. Each participant will leave the week with a personal printed copy of their work. Join us on a journey for mind, body and spirit. We will explore the art of Zentangle and meditation. If you love to doodle and create patterns, this camp is for you. Students will not only learn how to use art to unwind their minds but will participate in physical activities and mindful reflection daily. Coach Nurse has been coaching for over 19 years at the Club Level with Hamilton Transway. He has coached at all age groups from U10 to U19. For the last 10 years he has run and managed one of the premier girls AAU development and recruiting organizations in Ontario Canada Drive Basketball Development. He has won 14 Ontario Basketball Gold medals and has been instrumental in the development of CIS, NCAA and Provincial basketball players such as Taylor Smith, Marie Warner, Christina Buttenham, Kia Nurse and many more. Join us on an exploration of the Blue Planet. Grab your snorkel and flippers and let’s dive into this fascinating aquatic ecosystem. Learn about the different animals that inhabit the waters and other wonders below the waves. This camp will inspire “young makers” through problem solving and creative thinking skills by making and creating with various materials. Calling all bakers and decorators! Cupcakes are everyone’s favourite, so come and learn different cake recipes and icing techniques to make your creations a hit at your next party! Explore the Paleozoic seas full of trilobites, investigate Carboniferous forests or walk on land that was once sea. Let’s discover the history of the earth with this fun hands-on experience that will appeal to any paleontology fan! Campers will enjoy the artistic activities and games included in this session. This camp will bring out the crime fighting, problem solving critical thinker in your child. Campers will learn core fundamentals like questioning and making connections. This interactive camp will have campers using magnifying glasses, dusting for fingerprints, and conducting interviews to help solve mysteries. Get your pen and pad ready because the mysteries are waiting! Trojan Rugby Camp is intended for boys and girls ages 8 to 15. The program includes daily fitness, drill, game play and instruction from head coach Martin Birthelmer who is a level 2 NCCP certified rugby coach. Tackling preparation for players between 14 to 16 is available and game play focuses on 7's rugby. Daily prizes, skills competitions and an amazing support staff including former campers and current HSC first team players make for a great camp experience. Join us on our adventure into the jungle and savannahs of Africa as we explore the wildlife in our safari trip. Learn about the animal kingdom and all about the creatures that roam this vast continent and enjoy making animal themed and indigenous crafts. Children learn through movement and play, while developing independence, and fostering peer relationships. What better way to learn about another culture than to explore its indigenous arts and crafts? Explore the world and experience the diverse art forms our world has to offer. A perfect fit for the budding sport enthusiast, this half-day sports camps focus on the development of physical literacy skills and team play in a fun-filled atmosphere. These sessions will appeal to campers wanting to improve their play or try their hand at a new sport. The Trojan Soccer Skills Camp philosophy is to teach the fundamentals soccer skills and to individualize the instruction to meet the needs of each sports camper. Camp will consist of a variety of training activities which will encourage participants to learn new skills, refine and develop existing skills, while enhancing the participant's self-esteem. Join us as we explore the wonderful world of reptiles! We will take a closer look at our cold blooded friends and participate in games, art activities and even have some special visitors during the week. This program encourages and stimulates creativity in children. Through experimentation with a variety of media, campers explore their artistic side and engage in exciting craft projects. Come join us on an exploration of the planets and space travel in this fun hands-on session. Learn about the universe as you construct planets and space vehicles to assist you in your celestial discoveries. This program is designed to encourage and stimulate creativity in children. Through exploration of and experimentation with a variety of media, the campers will be able to develop their own skill level. Join us for a fun-filled journey through time. Campers learn about life during different time periods such as prehistoric, Egyptian, Ancient Greece, Middle Ages and the Renaissance. This program is designed to encourage and stimulate creativity in children. Through exploration of and experimentation with a variety of media, the campers will be able to develop at their own skill level. Trojan Volleyball is a full day program designed for campers who would like to improve their volleyball skills. Campers will develop individual age appropriate skills and general fitness needed for volleyball. In addition, they will develop individual skills with greater emphasis on the skills in a game-like setting, power hitting, middle hitting and digging. Everything is "hands-on" in this exploration of design, function and how structures work. Students use everyday materials to design and build a variety of structures to solve a given scenario. Campers use their critical thinking and creativity skills while working in groups to build structures. Visit the Middle Ages with us and try your hand at living the life of a brave knight or regal princess. Castles and crowns blend with creativity as our campers discover the medieval world. Learn the necessary skills for success in school. Our classes will consist of document creation, slide shows and how to use painting and drawing tools, as well as, other an introduction to coding. The power of computers is rapidly increasing in our modern society through easy access to high speed internet connections. The use of graphics, voice, music, animations and video is increasingly important in all aspects of computer work. This program is an excellent opportunity for children to begin their "hands-on" use of multimedia. Campers learn skills such as internet exploration for pictures and videos as well as creating their own multimedia presentation. Research tells us that some skills taught throughout the school year have a tendency to regress during summer months. To prevent some of this summer learning loss, HSC offers a literacy and mathematics camp. The camp provides fun, yet intensive, review in a familiar environment with qualified HSC teachers. The HSC Summer Programs run from 9:00 a.m. to 4:00 p.m. We are pleased to provide an extended service that operates from 8:00 a.m. to 9:00 a.m. and 4:00 p.m. to 5:00 p.m. The campers are supervised while participating in a variety of activities. The cornerstone of our programs is the quality of our caregiving. The Directors of our camps include teachers from Hillfield Strathallan College, all of whom bring their knowledge, creativity and expertise to the programming of each camp. All our camp staff participate in mandatory training workshops and are first aid certified. We manage camper-to-staff ratios to ensure excellent supervision in a safe and secure setting. All HSC Summer Program employees strive to be excellent communicators and love working with children. In partnership with Real Food for Real Kids, HSC Summer Camps is excited to offer a full week lunch program this summer. Included in the cost of registration, campers will receive a homemade, hot meal, with both morning and afternoon snacks. If you select a morning session, a morning snack and lunch are included. If you select an afternoon session, an afternoon snack is included. For a sample menu, please click here (add sample menu hyperlink). Dietary concerns can be met and if you have any questions, please contact Ms. Erica Otaguro at erica.otaguro@hsc.on.ca. HSC Summer Camps is excited to announce transportation will be offered this summer. There will be two locations, Burlington (Burlington Mall) and Stoney Creek Mountain (Centennial Parkway and Garner) where campers can be picked up. The cost is $40 per week and it includes a morning pick up at 8:00am and an afternoon delivery around 4:30pm. This service would be purchased for the entire week, regardless of use (i.e. one time use would cost the same as 10 trips). If you have any questions, please contact Ms. Erica Otaguro at erica.otaguro@hsc.on.ca. Campers may purchase snacks from our Tuck Shop during the lunch hour. Any breach of this fundamental principle of respect will not be tolerated. So that we may ensure safety, all HSC Summer Program participants may not leave their group or the facility without permission of a member of our staff. In addition, please note that individual programs may have rules specific to their activities and facilities. 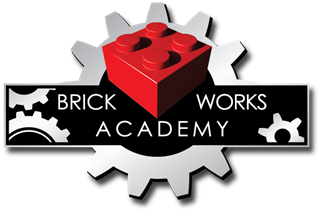 Our Friends at Brick Works Academy will be running LEGO, Robotics, Minecraft and Pokemon Tech summer camps at Hillfield Strathallan College all summer. click here to register.